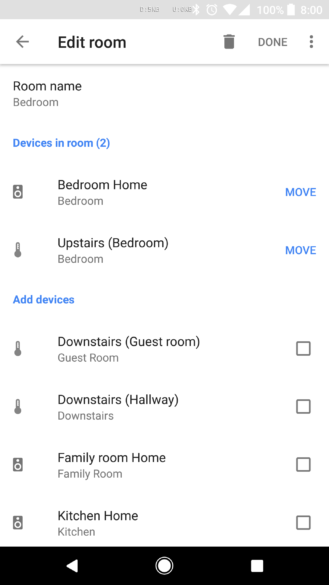 This has been corrected now, and you can add Google Homes situated around the house to their respective 'rooms' in the Home Control section of the Home app. Technically, this means that if you're playing music with a light on in the bedroom, and you want to go to sleep, you can now say "turn off bedroom" and both should switch off. 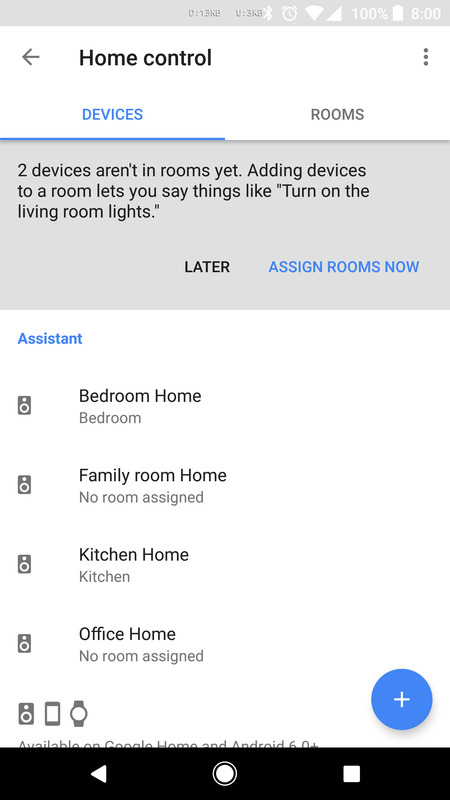 Before that, Home speakers only appeared alongside Chromecast devices in the separate Devices section of the app. They still show up there, but now they can be added to rooms as well. It's unclear if Chromecasts can be added to rooms, too, or how this will work with music playback groups already set up. For instance, if your bedroom Home speaker is in a group with a Chromecast audio device in the kitchen and you ask for the bedroom to be turned off, what happens to the sound in the kitchen? I'm unable to test this out myself, so if any of you could give it a try and let us know in the comments that would be much appreciated. It seems Google could do with consolidating all of this into one clearly defined place, but this is a step in the right direction, at least.